A dozen D&D encounters drawn and inspired from classic Grimm’s Fairy Tales. 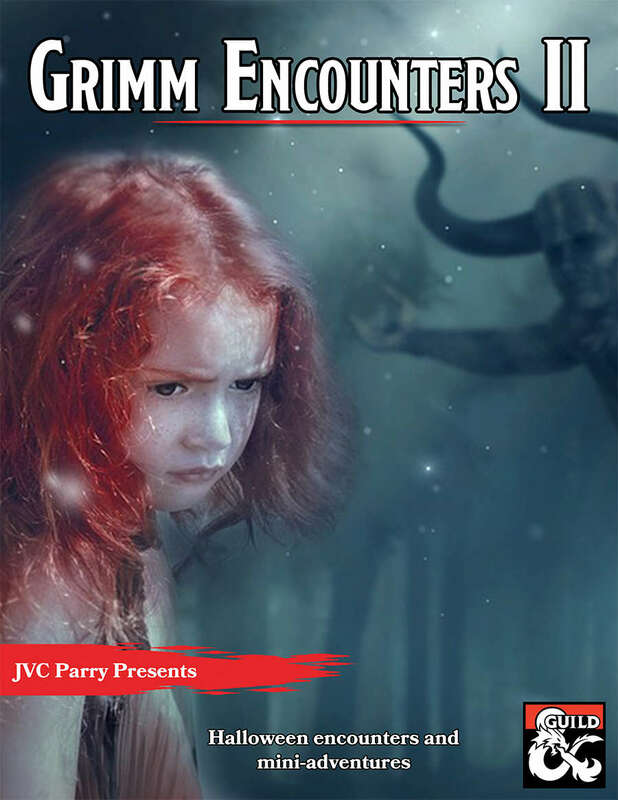 A review copy of “Grim Encounters II” was provided by the publisher. Find more DMs Guild Reviews on my website and YouTube channel. Fairy tales are classic story-telling devices, but the ones featured in “Grimm Encounters II” aren’t exactly the Disney-fied versions with singing and happy endings. This collection of 12 D&D encounters written by six different DMs Guild authors is based on the original, and sometimes very dark, Grimm’s Fairy Tales from the 19th century. I finally take on the first boss of the Ruins, but find something much, much worse in a random hallway battle. The players reach level 3, spend their hard-won cash in the city, and set out on their adventure via the river. REMINDER: Tomb of Annihilation airs TONIGHT instead of tomorrow this week. Same time!